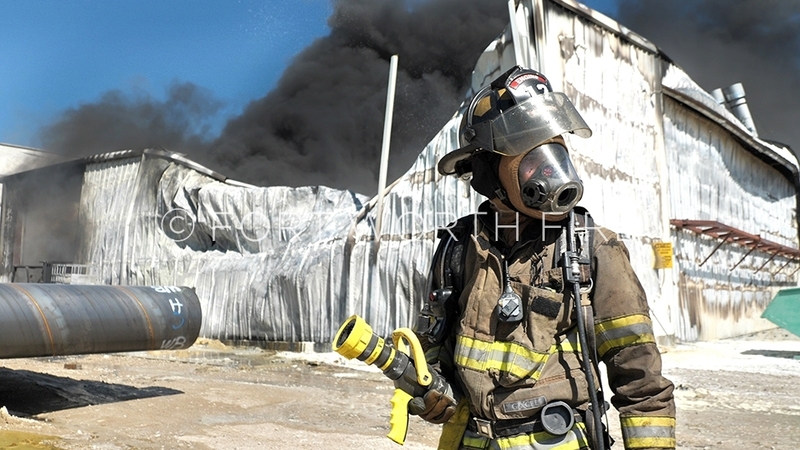 Jacky Haggard waits on water during a commercial building fire at Northwest Pipe. 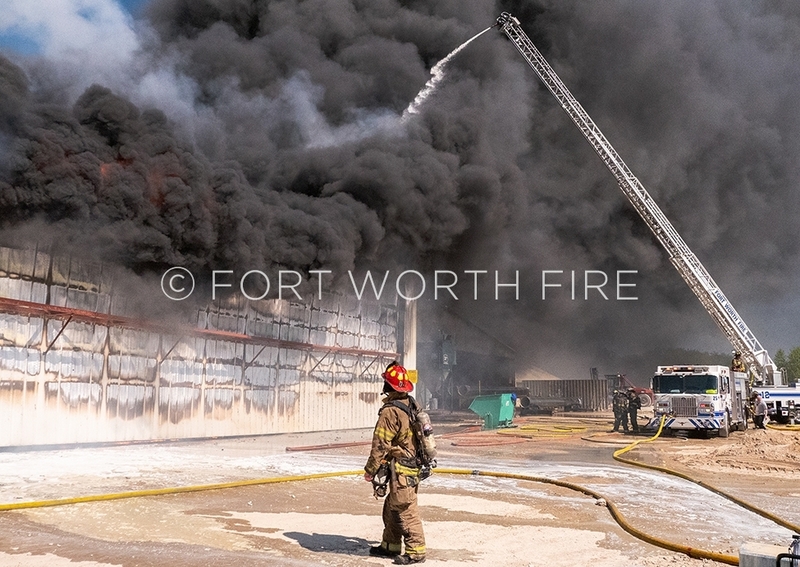 Morgan Schenck pulls a 2inch into position during a commercial building fire. 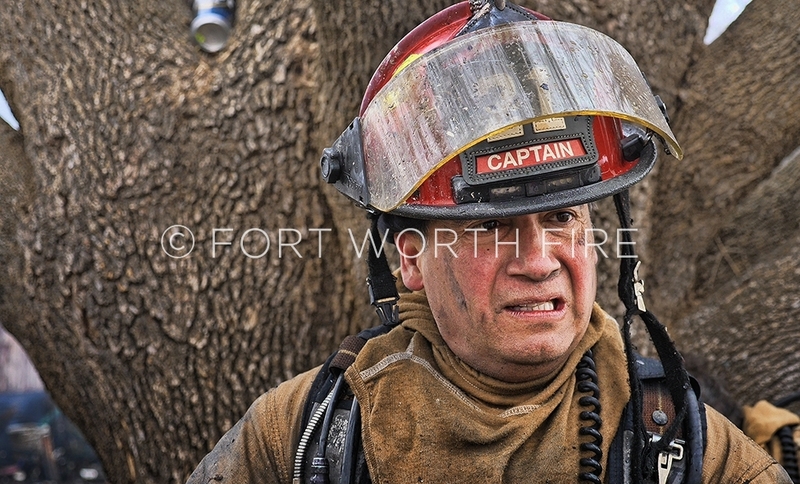 Omar Kahn surveys the situation during a building fire. 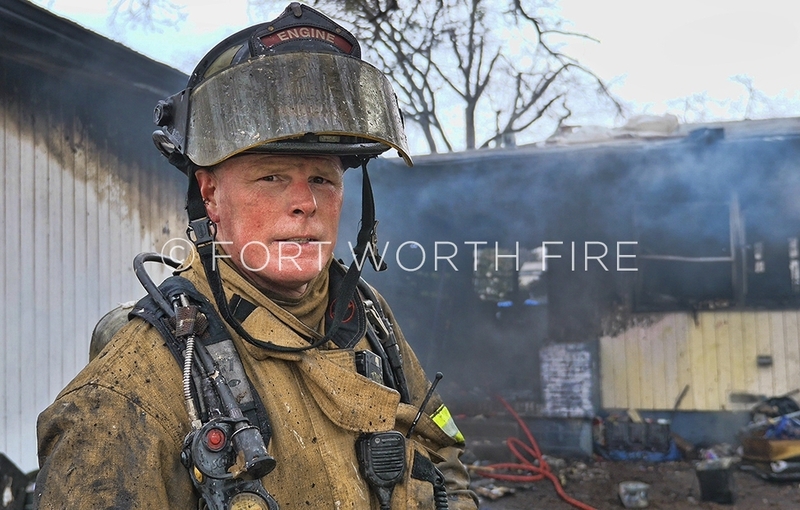 Captain Chris Owens surveys the situation during a defensive commercial operation. 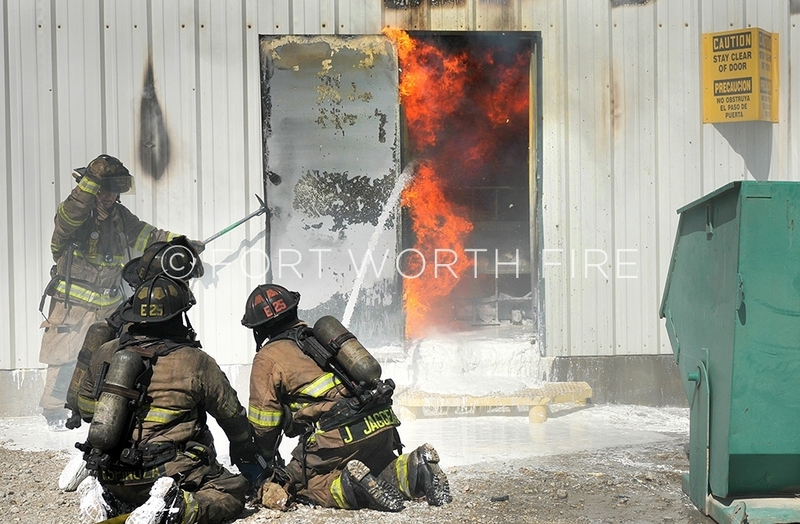 Firefighters reposition during a defensive operation at a commercial fire. 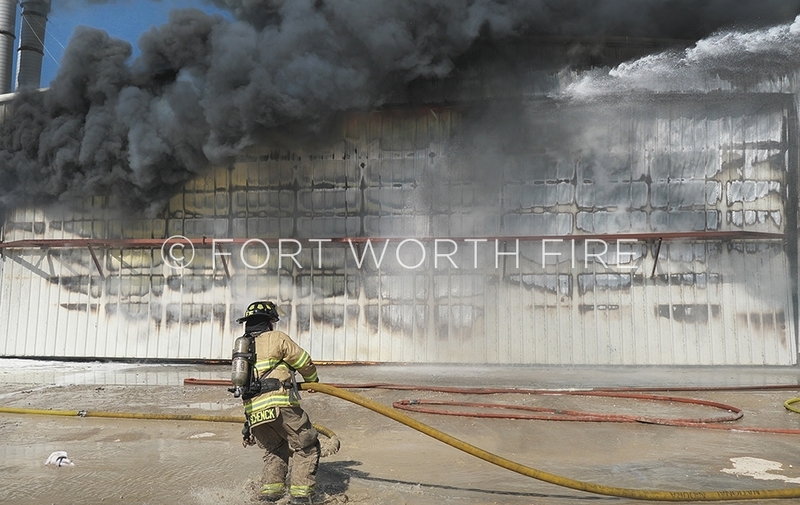 Engine 25 firefighters use a blitz-fire to knock down the interior fire at a commercial fire. 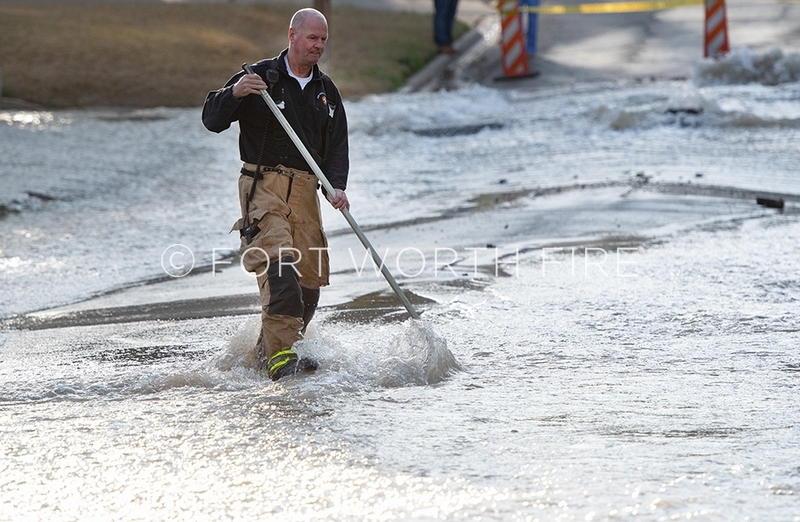 Captain Tom Forrestal crosses Ranchview during a major watermain break in the neighborhood. 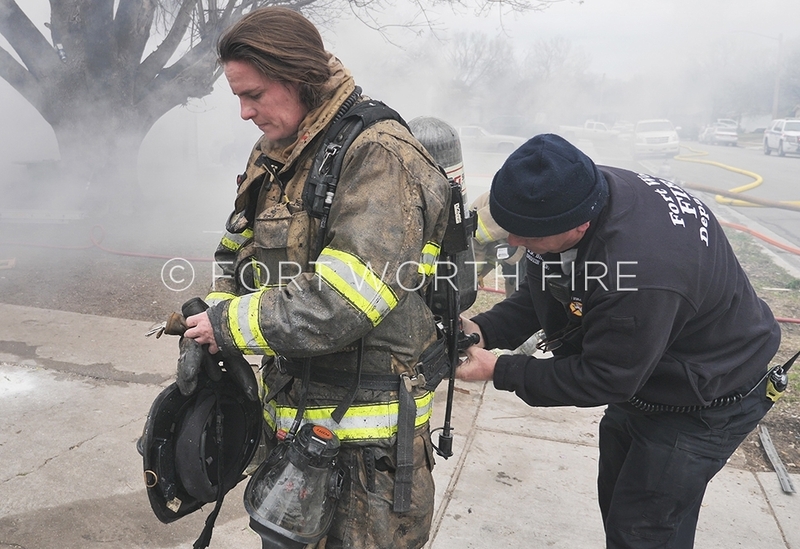 Brady Brown changes out an air bottle for Shelia Dotson during a house fire. 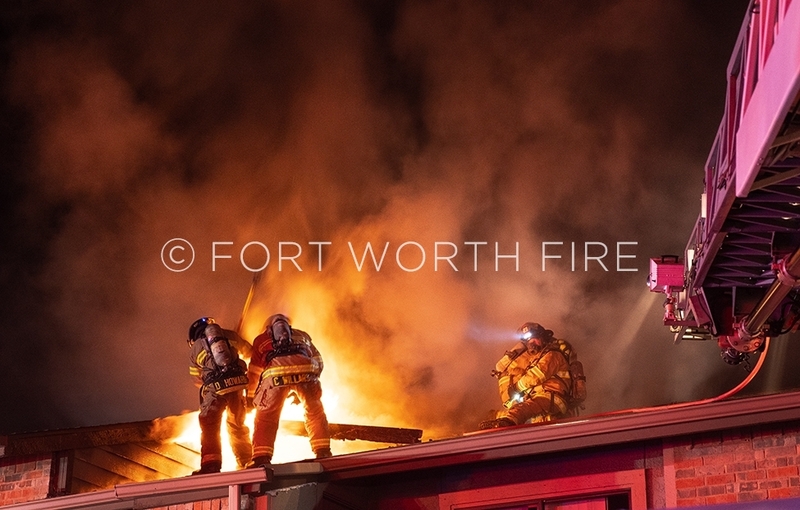 Preston Raby after a house fire on Binyon st.
Captain Tito DeLa Cruz after a fire on Binyon. 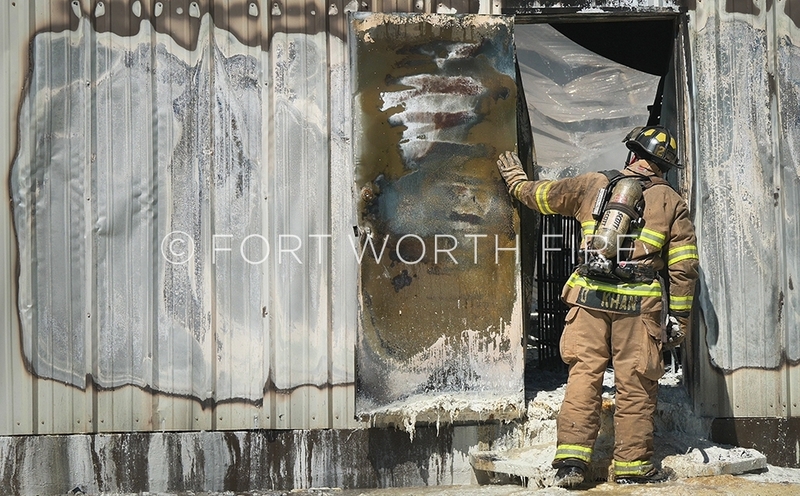 John Cadman extinguishes hotspots from an insulation fire at a building under construction on Will Rogers Blvd. 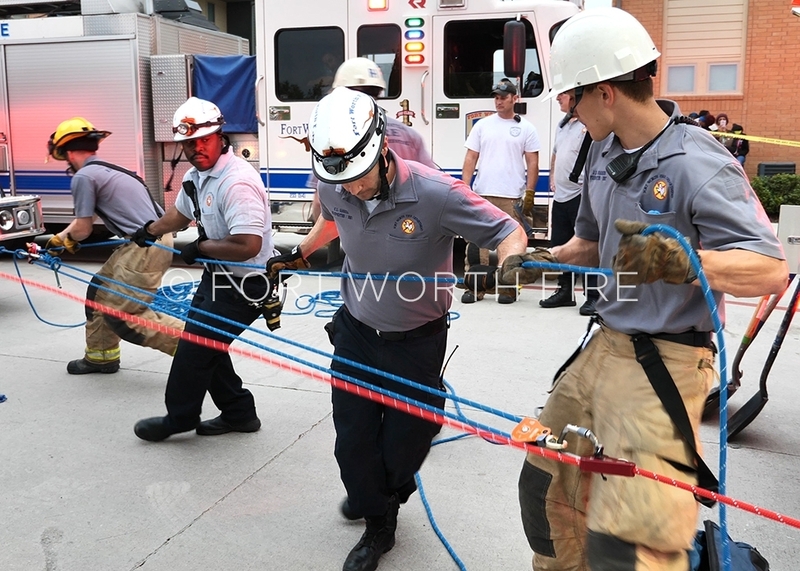 Firefighters use a haul system to raise a patient from a 30-foot drop off of as reataining wall. 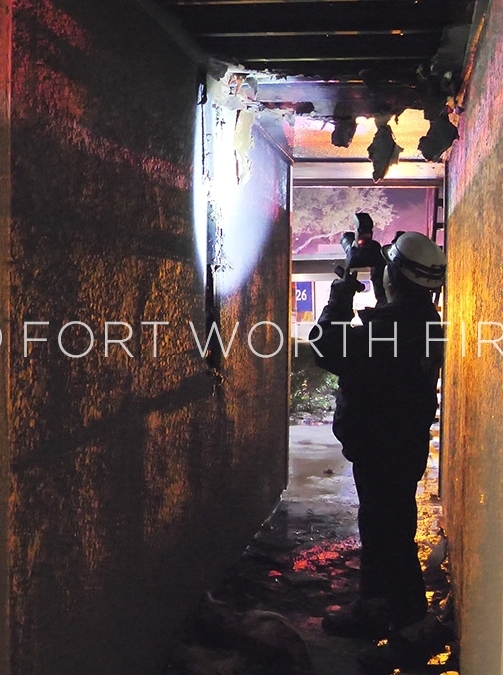 Greg Warren investigates the cause of a multi alarm apartment fire. 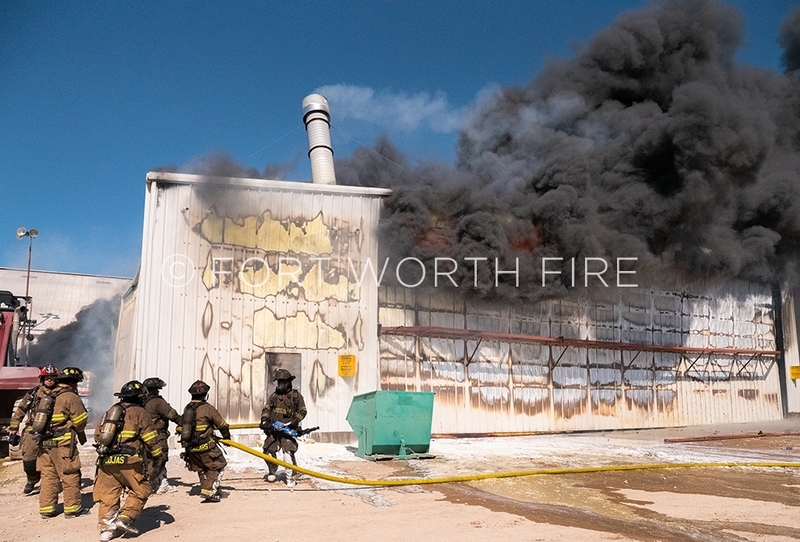 Brandon Randle rushes a redline towards some smoldering cotton bales at a commercial fire. 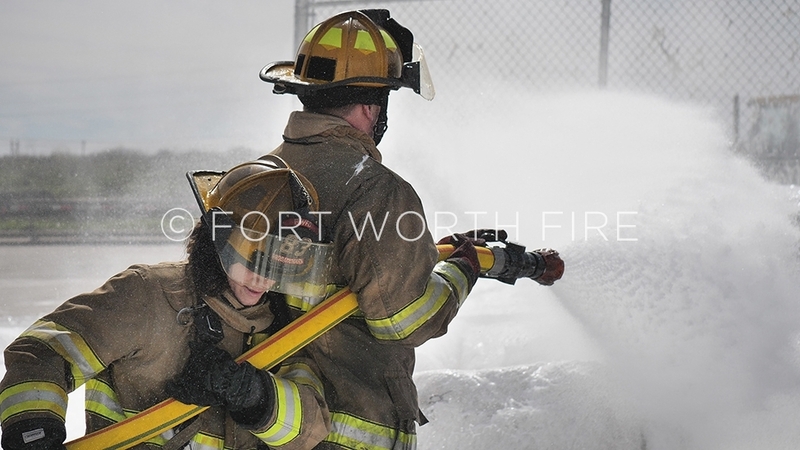 Morgan Whitbey backs up Toby Bradford on a foam line during an overhaul operation at a commercial fire. 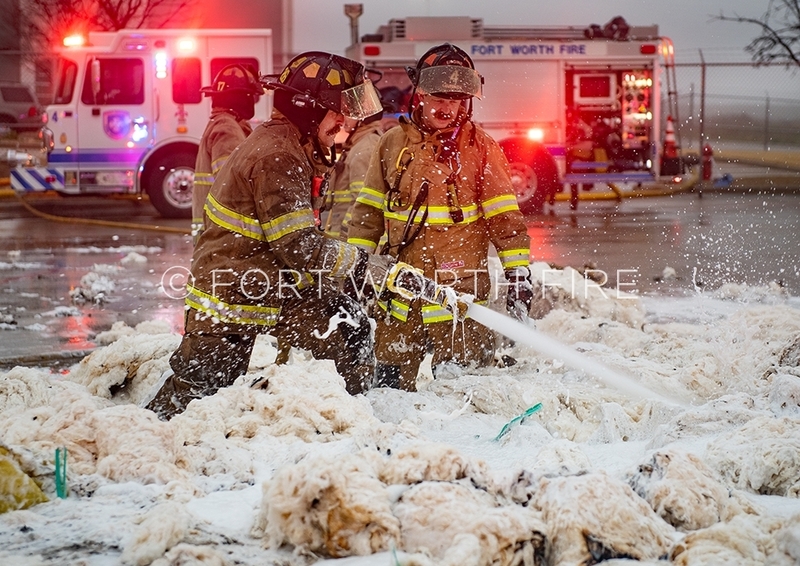 Toby Bradford applies foam to smoldering cotton bales. 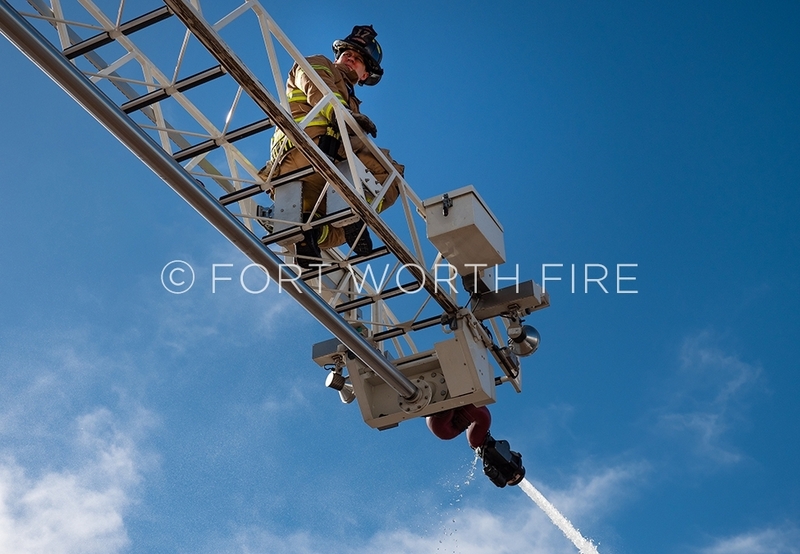 Justin Fojtik works atop Quint 17 during overhaul on some cotton bales. 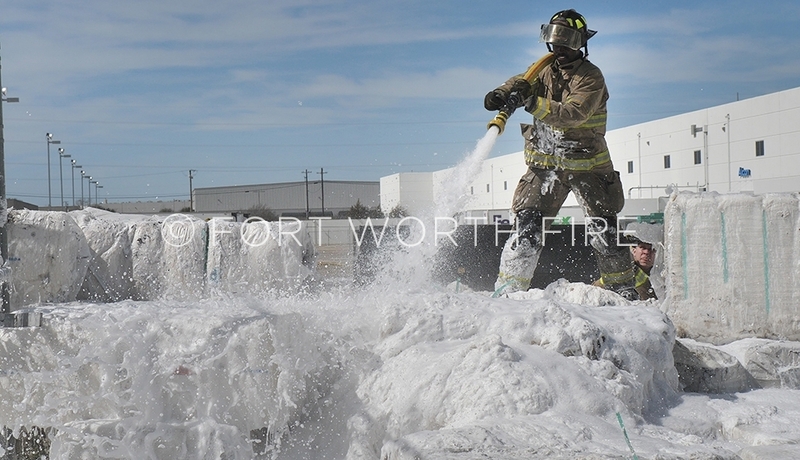 Brandon Randle works atop some smoldering cotton bales during an extended overhaul operation. 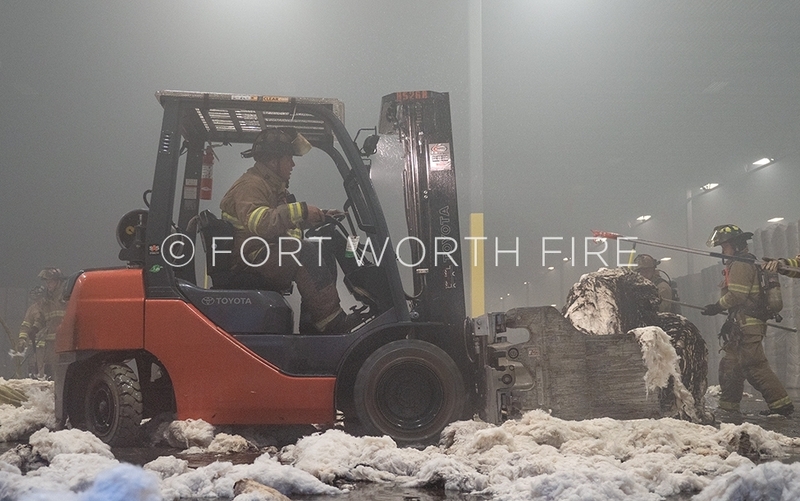 Joe Johnson and Skyler Ainesworth overhaul broken up cotton bales during a commercial warehouse fire. 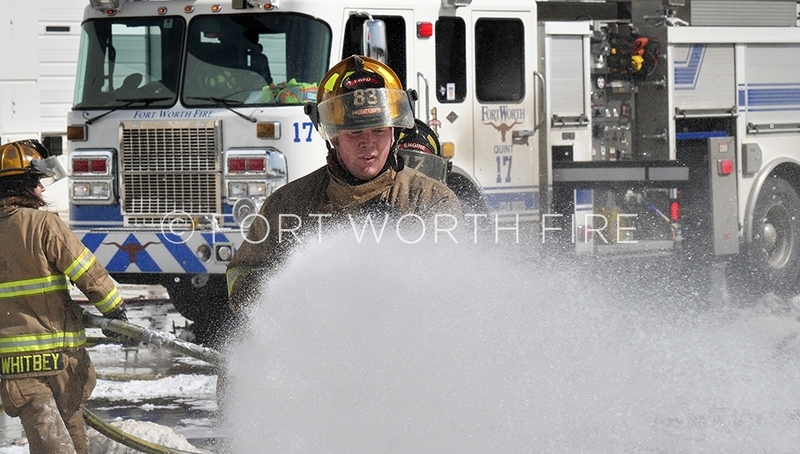 Rohn Renfro operates a forklift during a contents fire at a commercial warehouse. 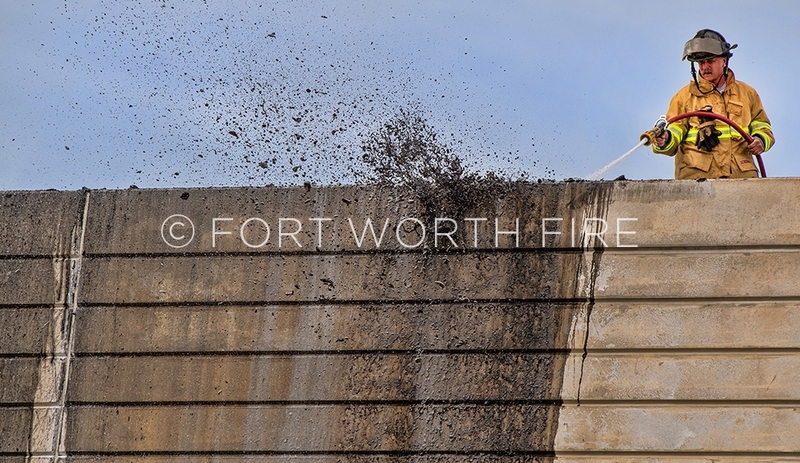 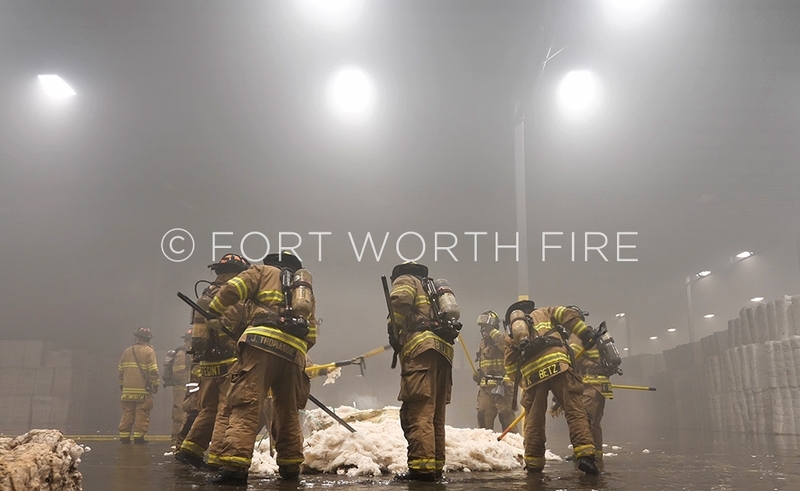 Firefighters tear apart burning cotton bales during a commercial warehouse fire. 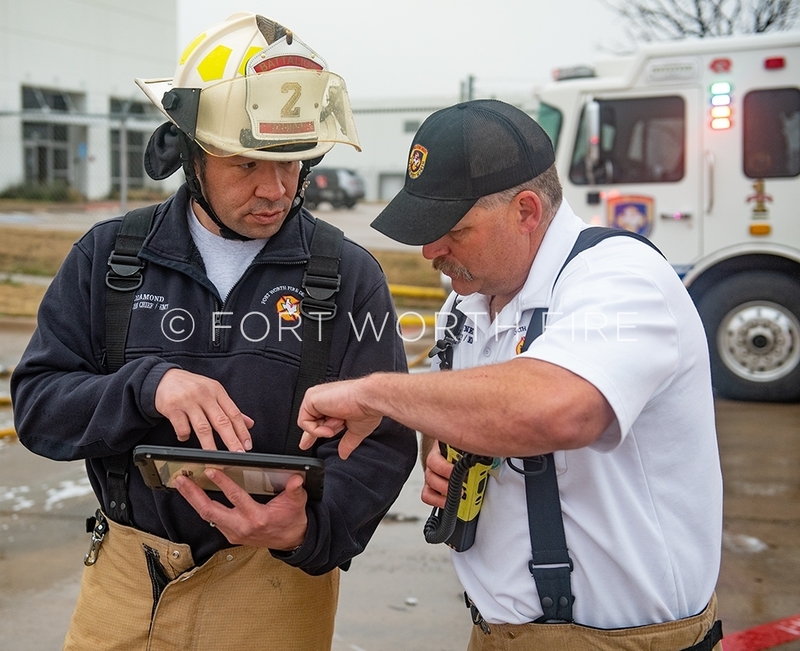 BC’s Ralph Diamond and Justin Scrivner track companies during a commercial fire on an ipad.